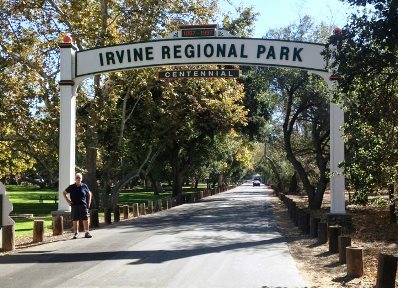 (Santa Ana) – A bat found near the lake at Irvine Regional Park at 11:30 a.m. on Sunday, December 27, 2015 has tested positive for rabies. Anyone who may have had physical contact with this bat or saw someone else having contact with the bat is asked to call Orange County Health Care Agency Epidemiology at (714) 834-8180 from 8 a.m. to 5 p.m. or (714) 834-7792 after hours to determine the risk for rabies. The rabies virus is found in an animal’s saliva and is transmitted to people by a bite from a rabid animal. Although very rare, contamination of the eyes, mouth or an open wound by the saliva of a rabid animal can also transmit rabies. Most cases of human rabies in the United States in recent years have resulted from bat strains of rabies; bats have very small teeth, and their bites may go unnoticed. Once a person begins showing signs and symptoms of rabies, the disease is nearly always fatal. For that reason preventive treatment to stop the rabies virus from causing illness is given to anyone who may have been exposed to rabies. Medical assistance should be obtained promptly after an exposure so any wound can be cleaned and preventive treatment can be started. This treatment is safe and effective. If bats are seen inside the house or other structure, close off the area and contact animal control. Once the bat(s) have been removed, close off any areas allowing entrance into the house. Do not leave pet food outside where it will attract wild animals. Potential exposure to a bat or other wild animal should be reported to Orange County Health Care Agency Epidemiology at (714) 834-8180. To report a bat in your home, an animal bite, or a stray animal, contact OC Animal Care at (714) 935-6848. More information about rabies is available on the Centers for Disease Control and Prevention website at www.cdc.gov/rabies.